Keeping track of how you charge and how much you owe consignors is a breeze with SixBit. 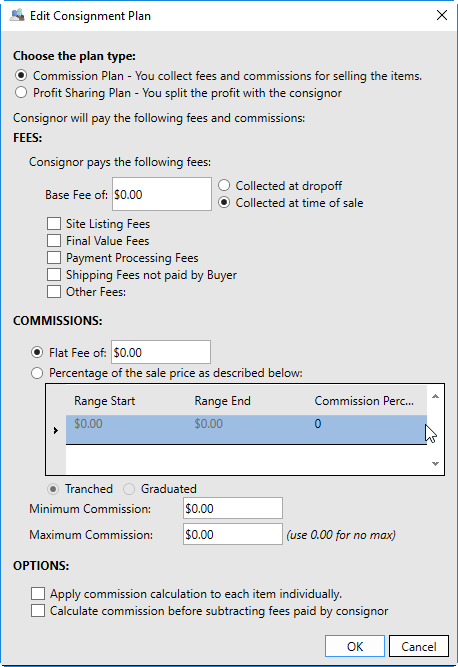 Create a consignment plan for each commission collection scheme you use. Identify the fees you collect, and use tranched or graduated scales for calculating commissions. An option to simply split the profit by percentage is also available. 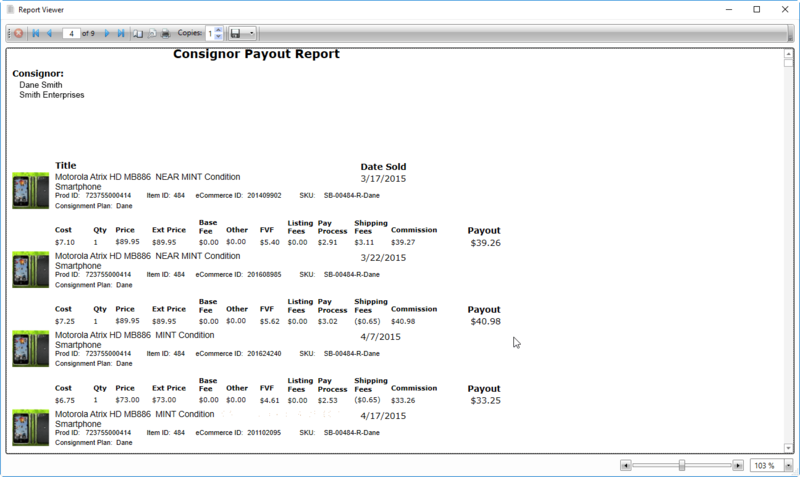 Automatically send emails to consignors at the end of sale, and print Consignor Payout reports to accompany payment. Quickly see the profit made by sale, order, consignor or date range.